Smartphone Nation White iPhone 4 coming April 27? White iPhone 4 coming April 27? The wait may finally be over come Wednesday, April 27. 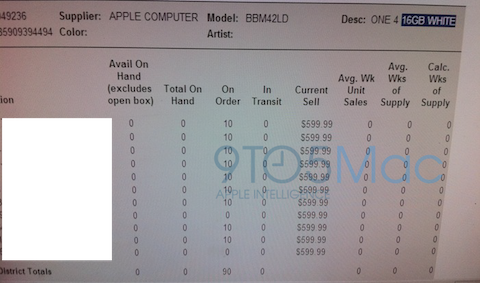 9to5Mac has obtained images from Best Buy’s internal system that indicate the phone being in stock on April 27. The blog was told that the phone would be coming out in 16GB and 32GB for both AT&T and Verizon. Each store should have about ten 16GB units, but the stock on 32GB units is still unknown. 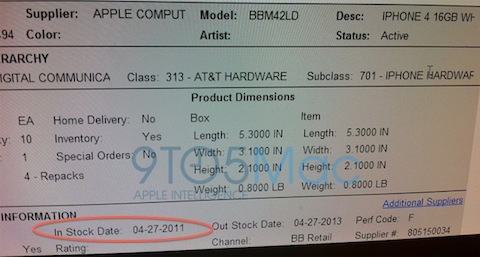 We can assume that the white iPhone 4 will also be available in Apple stores come April 27. Check out another screen shot after the jump.